Welcome to Day 23 of 31 Days to Better Recordings. Any time I’m mixing a song, I almost always use subgroups. Unless I’m mixing a very small session with only two tracks, you can bet I’ll be using subgroups. If you don’t use subgroups, or if you’re not exactly sure what they are or why you should use them, read on. Subgroups are really very simple. You’re simply routing (or bussing) several tracks through a single aux track. For example, whenever I’m mixing drums, I will route ALL of the drum tracks to a stereo bus (let’s say Bus 11-12), then I will create an aux track, name it “Drums,” and set the input of that track to Bus 11-12, then set the output of that track to the normal main outputs. At this point you may already be thinking of a few ways to utilize subgroups in your mixes, but let me share three ways that I use subgroups in almost every song I mix. This is the most obvious use of subgroups. Let’s say you’re mixing a song, and halfway through the mix you decide the drums need to be a little bit louder. Well, you could try to turn up each of the drum tracks by the same amount, but this can be tedious. The solution? Run them all through a stereo aux track, then you have one fader to control the volume of the entire drum kit. This works for drums, guitars, background vocals…anything really. I talked about this in my series on preserving processing. Using subgroups can be a fantastic way to save both time and CPU power. Let’s say you have 8 background vocal tracks, and you know you want to EQ and compress them all in roughly the same way. You could instantiate 8 EQs and 8 compressors, one on each track, but that can take up a lot of computer processing, AND it takes a lot of time to set up and tweak. The solution? You guessed it. Bus them all through an aux track, and place the EQ and compressor plug-ins on that track only. Now a single EQ plug-in controls the sound of the background vocals, rather than eight different plug-ins. Much better. If you want to get really fancy, you could bus a set of tracks through two aux tracks, and process each of these tracks differently. This is known as parallel processing, and it can be used to produce some very interesting sounds. Do you use subgroups? Leave a comment below and let us know why or why not. 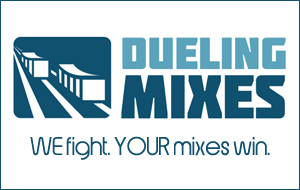 How are you going to use subgroups on your next mix session?